We’ve seen the weather report and it looks like Mother Nature wants to welcome us with a thunderstorm so we are moving the Party! In the Park OUT of the park and onto the Patio. Specifically, of the Renaissance Hotel, 31 Woodfin Street, Asheville, NC 28801. Join ASPIRE for the hottest party in town with the Party in the Park on Sunday night in Pack Square Park. There will be food, drink, entertainment, and more. You don’t want to miss out on our inaugural opening celebration featuring the band U-Phonik. U-Phonik relocated to Charlotte, NC from Montreal, Quebec in 2001. 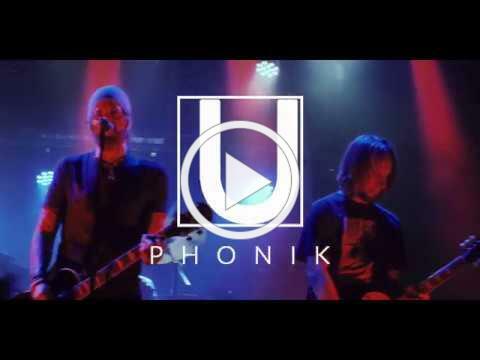 Playing a mix of alternative rock covers and originals, U-Phonik has established itself as one of the regions best acts. U-Phonik’s original music has been featured in movies and television shows as well as received regular air play on various radio stations in the US and Canada. They have consistently been chosen for regional compilation CDs. The band has performed at some of the areas top festivals as well as performing on the “Rock Boat” and at Austin TX’s South by Southwest festival. U-Phonik currently performs more than 100 shows a year in the Southeast.